Storytelling can let your content stand out, it makes your content connect with your readers, and it will generate better engagement, traffic, and eventually make you more money. To subscribe to Marketing in Minutes on any podcast platform, please click here. Storytelling is one of the most important marketing tactics – because when you tell stories, you create content that readers can relate to. But to tell a good story, you don’t have to turn your piece into an epic battle between good and evil. Follow a few simple steps to use storytelling in your content and gain engagement, traffic, and make more money. All of that in just a couple of minutes! Usually, when you need some quick cash and sell your car, you expect to sell it below its value, right? Today, you are going to hear about a story in which that wasn’t the case. All because of storytelling. I’m Jonathan Gebauer, and this is Marketing in Minutes. You are listening to Marketing in Minutes by The Social Ms – the podcast that gives you everything you need to know about one marketing topic per episode in just a couple of minutes. I’m Jonathan Gebauer and today, let’s talk about storytelling. But before I get into today’s topic, I want to ask you for your help. This is episode number 22 of Marketing in Minutes, and I’m really happy with the results. But of course, I want to achieve more. And for that, I need your help. Yes, your’s. Here is what I want from you: If you are listening to this podcast via Apple Podcasts – or anything else that allows you to do this – and you like this show, then please leave a review. Reviews are essential for podcasters because reviews allow us to reach a bigger audience. And for new shows, getting the first couple of reviews is harder then you think. So, if you can find the time to write a few lines and leave an honest review after you listened to this episode – I would be really grateful. Now, let’s talk about the topic of today’s episode… Storytelling. Storytelling is a powerful tool – and one that is often misunderstood. Every marketer can use storytelling to achieve better marketing results. If you listen to this podcast you will hear examples of storytelling in every single episode. Back in 2015, an eBay auction for a car here in Germany went viral… twice. Because when it went online for the first time, eBay suspected foul play and took the auction offline. A couple of days later, the same auction with the same description went back online. And went viral again. The car was almost 20 years old. It wasn’t worth a lot by any standard. It had a lot of issues – like scratches, broken electrics, old tires, and so on. Nothing about this car had any particular value. All in all, it probably was worth a couple of thousand Euros. But, it had a story. No, not the kind of story you are thinking about: No one famous had owned it, it wasn’t involved in any famous events, and it did not take a part in famous crimes. Nothing like that. But the owner had a lot of memories about the car… and about his girlfriend. And he was only selling it because his girlfriend was pregnant and he needed a bigger car. And in the eBay description he talked about a lot of these memories: About his girlfriend getting ready to watch 50 shades of grey: Honestly, why are women so naive? About her love for shoes – how can shoes be rated a bargain if you never wear them – even if they’re on sale? About the car and his Fast and Furious encounter with the police when he was 18. About the back seats being worn out – although he doesn’t want to get into detail about that. It was a long and personal story – and it went viral. Did you ever see a viral eBay auction? But I’m not going to tell you that this is the only way you can use storytelling. Storytelling doesn’t always mean that you actually have to tell long, complicated stories. In fact, storytelling can be really simple. All you need to do is follow a few simple rules and guidelines. Here are three basic tips you can use to employ storytelling when creating content – and I promise if you follow these rules, you will create better content that leads to better results! The first thing you need to know about how to use storytelling for your own content is that you need to structure your content like a story. All that means is that you have a beginning, a middle, and an end. It’s common sense to use a structure for your content like that – and good storytelling always works that way. The beginning draws the reader in and presents the conflict, the middle intensifies the conflict and presents the obstacles the hero has to overcome, and the end is the solution, where the hero overcomes the obstacles and saves the day. It’s called a three-act structure for traditional storytellers – and it is used in almost any Hollywood blockbuster many famous books. This gives your reader a connection to your content, something they can relate to. I used this technique when I told you the story in the beginning. And the third tip for using storytelling when creating content is to think of your content elements as actors in your play or movie script: Don’t think of problems and solutions – that’s boring. The problem is your antagonist – it is working against you. But the solution to the problem is your hero… the hero of your story. That totally changes the way you write a piece of content… Instead of writing a boring piece about a solution to a problem, the piece becomes a story with characters. In the example before, instead of presenting the car as the solution to the problem of getting from a to b, the author presented the car as a character with whom he had been on many adventures. 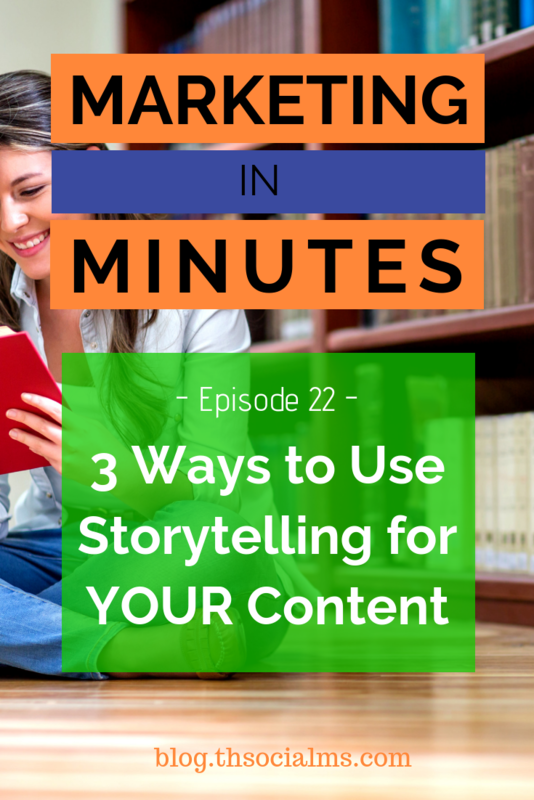 These three ideas will help you to create content that follows the form of a traditional story. That doesn’t mean that every piece you write has to be presented as an epic battle between good and evil. But it will help you create pieces that have a structure that generates suspense, that have obstacles that the reader can relate to, and that have characters that the reader can develop feelings for. That’s how you can think about your own content in the forms of stories you write – and this will lead to more engagement with your content, more traffic, and ultimately more money. At the beginning of today’s episode, I told you about the guy who sold his car on eBay – by telling the story of his car. But I didn’t tell you the end result. Let me change that now. This one auction for a car that probably wasn’t worth even 2000 Euros ended up selling for more than 50000 Euros. And no, don’t ask me why someone would pay this much. I don’t know – but probably for the same reason why some people do crazy things to own the car that was used in the TV show Knight Rider, or that was owned by a famous person before. That was today’s episode of Marketing in Minutes. I hope you learned something about storytelling that you can use for your own content. 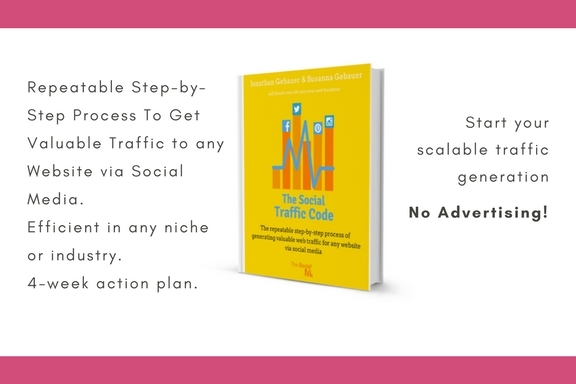 For more information about storytelling, you can check out the show notes at blog.thesocialms.com/MiM-22 – and for a complete marketing strategy that you can follow step-by-step, check out our book, The Social Traffic Code. Please subscribe and share this podcast, and as I told you in the beginning, I would be very grateful if you could leave a review!